I am an amateur photographer from Germany who is into landscapes and stories. I like to discover both on my daily walks through the woods with my sighthounds and on occasional vacations. 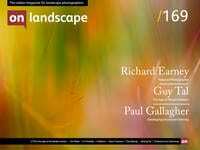 I am a landscape photographer and chartered engineer who lives in Buckinghamshire, England. I started on this journey 18 years ago, with a humble Nikon f55 SLR. However, it wasn’t until the birth of my son in 2014 that I started taking pictures seriously. What started as a casual hobby has grown into an obsession for being outdoors and expressing myself artistically. Kas Stone is a professional photographic artist and writer based in Atlantic Canada, where her work is inspired by the wild coastal scenery and moody weather right outside her door. She can’t believe her good fortune in being able to make a (modest) living doing what she loves. I grew up in South East Asia, but my family returned to Australia by my teens. I'm professor of philosophy at the University of Sydney; landscape is my passion outside philosophy of mind and metaphysics.